Things change…now ain’t that strange? June dissolved in a blaze of glory! 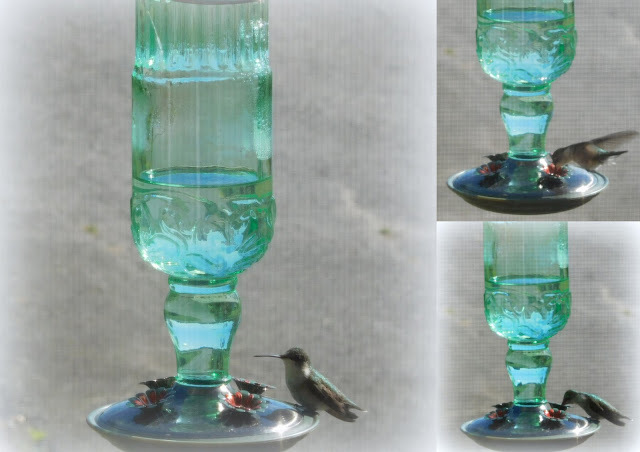 This antique-jar hummingbird feeder was gifted to me by some dear friends for my birthday a few weeks ago!